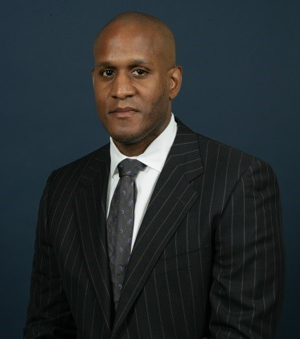 Malcolm Brown is a partner at Wolf Haldenstein. Mr. Brown has extensive experience in complex class actions representing clients including institutional investors such as public and labor pension funds, labor health and welfare benefit funds, and private institutional investors who suffered losses due to corporate fraud. He was part of the Firm’s team that recovered over $7 billion for investors. He is a member of the Investor Protection, Business Practice, Consumer Practice and Social Justice practice groups with an emphasis on securities litigation, derivative litigation, transactional litigation, mergers & acquisitions, unfair and deceptive business practices and product defects law. Prior to joining Wolf Haldenstein, Mr. Brown served as counsel to financial institutions, corporations and partnerships and advised clients on business disputes, reorganizations, dissolutions and insurance coverage matters. Represented consumers in an automotive defect cases against Ford Motor Company, General Motors LLC and Takata Corporation. Served as co-lead counsel in numerous securities class and derivative actions throughout the country, representing institutional and individual investors, recovering hundreds of millions of dollars and achieved significant corporate governance reforms against such companies as MBIA Inc. and Lender Processing Services, Inc.
Lead counsel in a federal civil rights class action case representing minority business owners in their discrimination suit against local government entities. Mr. Brown is a member of the various institutional investor associations such as the National Association of Public Pension Attorneys, the Council of Institutional Investors, the National Conference on Public Employees’ Retirement Systems and the California Association of Public Employees’ Retirement Systems. Mr. Brown is also a member of the American Bar Association. Mr. Brown has served as a member of the University of Pennsylvania Secondary School Committee and Minority Recruitment Program.